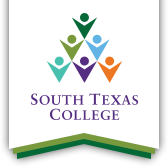 South Texas College is committed to forging new and innovative partnerships with all school districts in order to transform the region, according to STC President Dr. Shirley A. Reed. In honor of School Board Appreciation Month, South Texas College hosted its 5th annual Board Appreciation Breakfast Friday, Jan. 18. The event was organized as a ‘thank you’ to its many partners in education across Hidalgo and Starr Counties. At the event, STC’s Board of Trustees gathered with superintendents and board members from local school districts as well as Region One Education Service Center and were lauded for their leadership, hard work, and dedication. STC trustees in attendance included Chairman Paul R. Rodriguez, Vice Chair Rose Benavidez, Dr. Alejo Salinas Jr., Victoria Cantu, and Rene Guajardo. “This is very important for the region as a whole. The challenge of making sure all of our students have the opportunity of getting a college education is critical for the economy of our communities. Region One ESC executive director Dr. Cornelio Gonzalez. Districts in attendance at the event included leadership from McAllen ISD, Hidalgo ISD, Edinburg CISD, La Joya ISD, Vanguard Academy, Mercedes ISD, Edcouch-Elsa ISD, South Texas ISD, Pharr Oratory, as well as Region One. At the event, attendees were informed on STC’s dual credit program as the most effective pathway to creating a college-going and college-completing culture for families in the Valley. Now in its 20th year of academic excellence, the program has grown from 441 students in fall 1999 to over 13,000 as of fall 2018 and serves as a higher education partner for 24 school districts and 70 high school sites. “This is very important for the region as a whole,” said Region One ESC executive director Dr. Cornelio Gonzalez. “The challenge of making sure all of our students have the opportunity of getting a college education is critical for the economy of our communities.